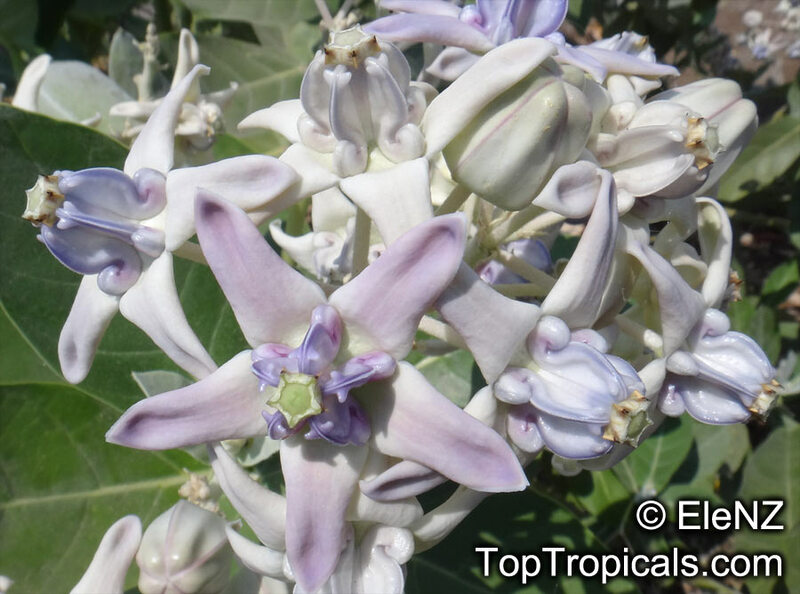 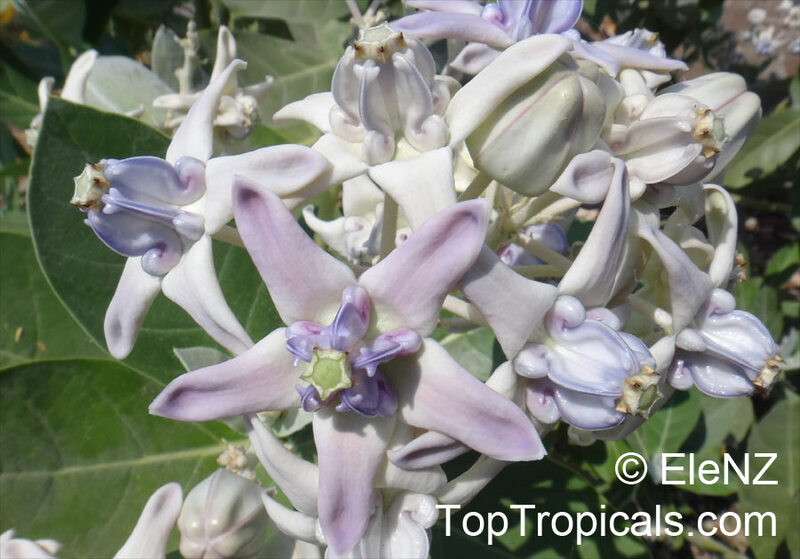 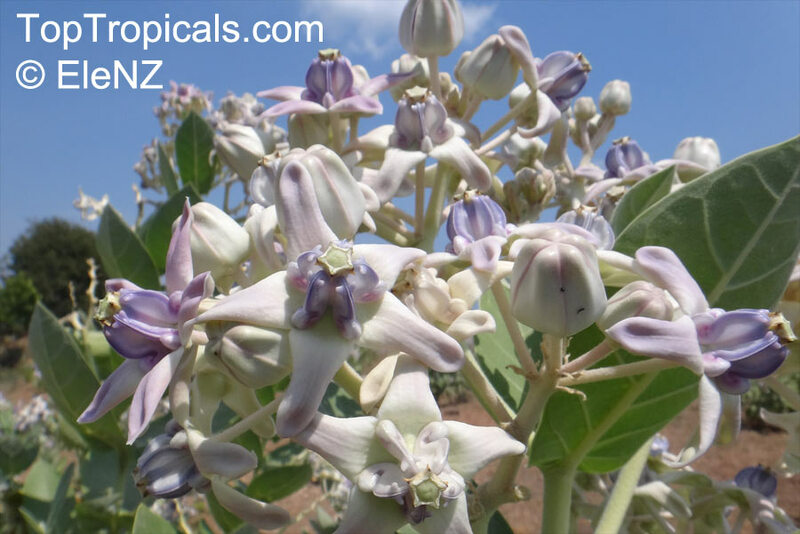 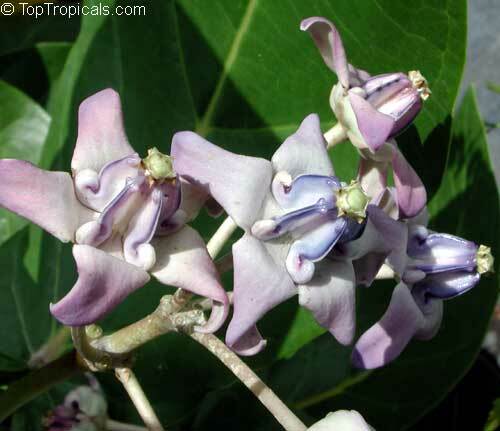 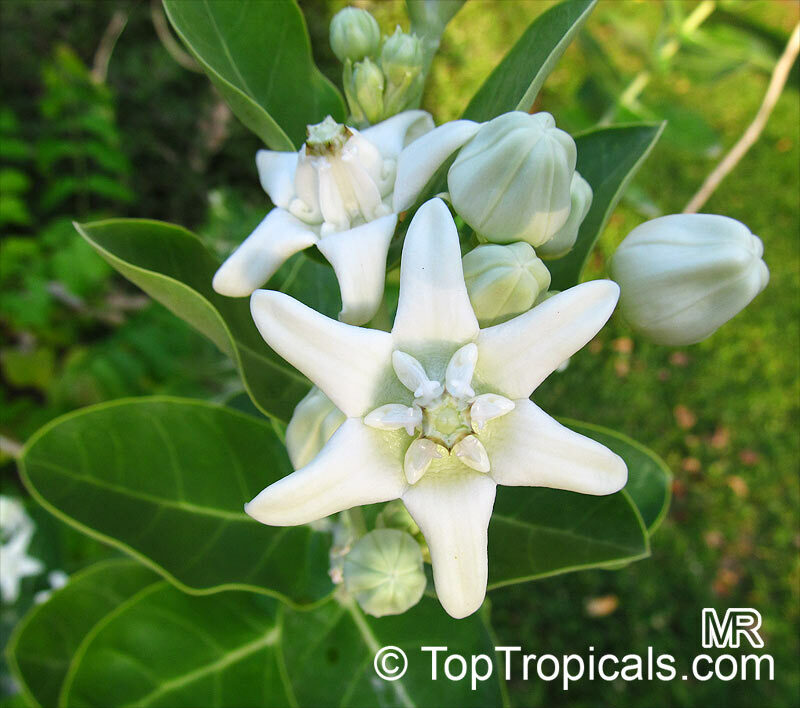 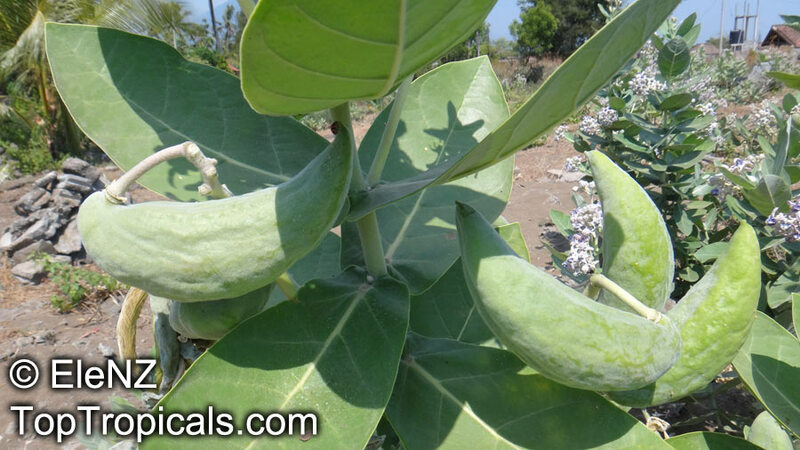 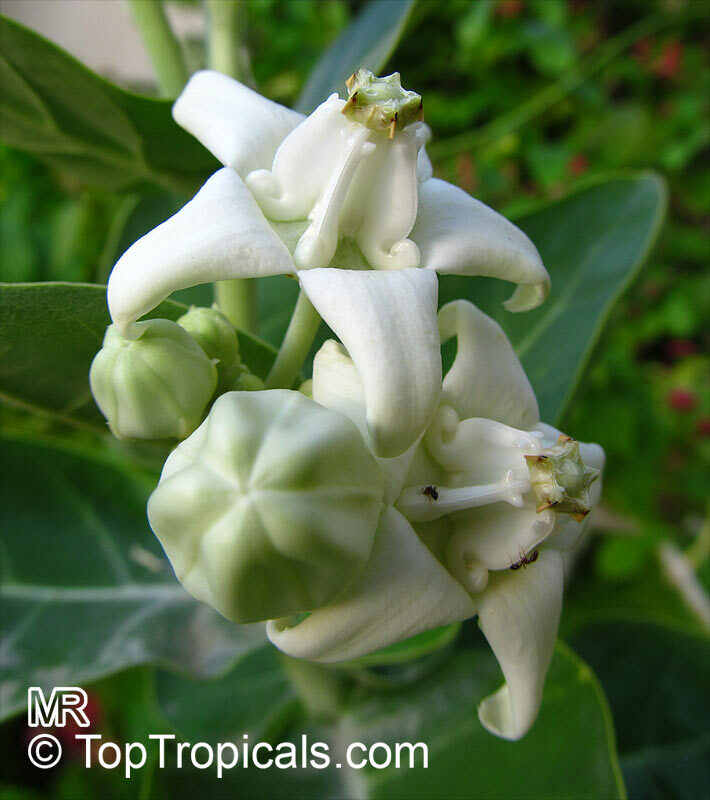 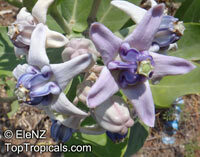 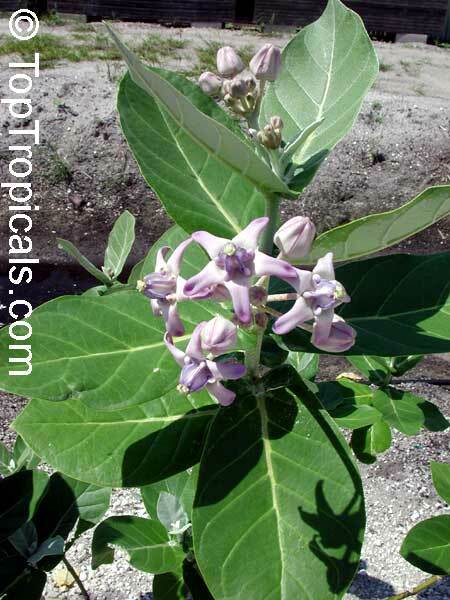 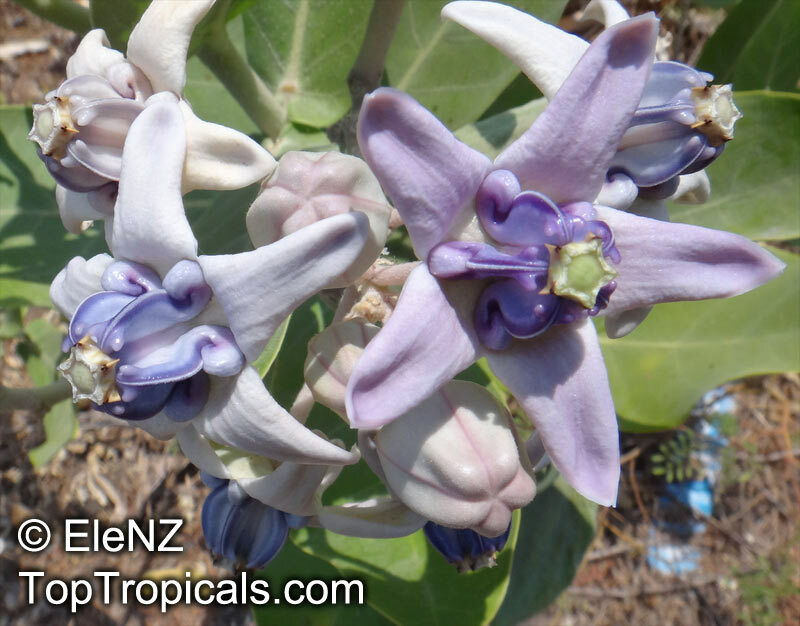 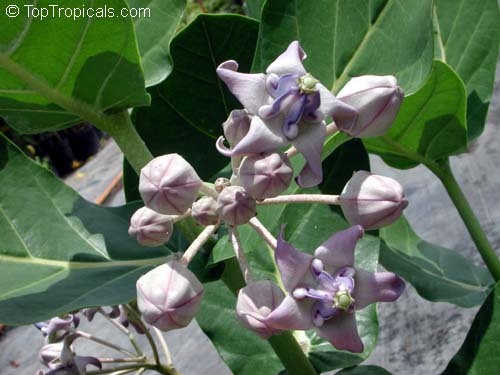 Calotropis gigantea - Giant milkweed, Arka, Crown flower, close related to a well-known Butterfly Milkweed, but it is so impressively fat! 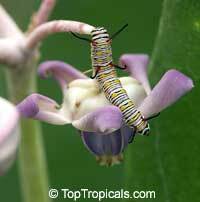 Its beefy silver leaves add a great texture to your butterfly garden, and its lavender flowers are fascinating and beautiful. 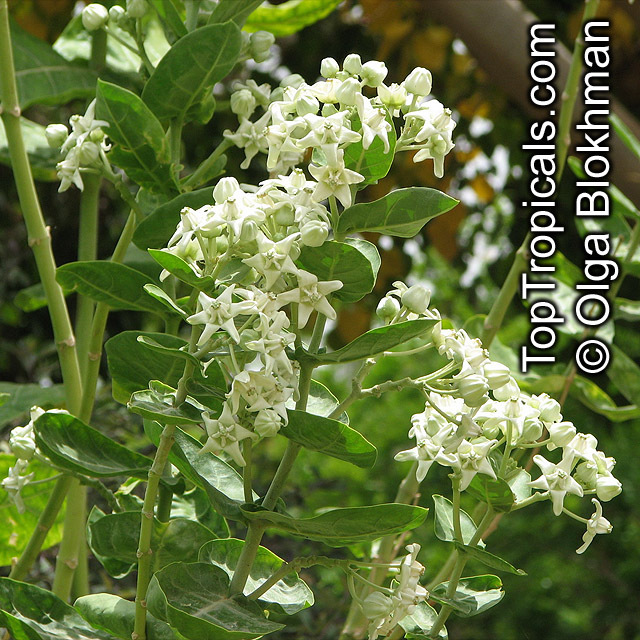 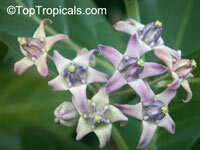 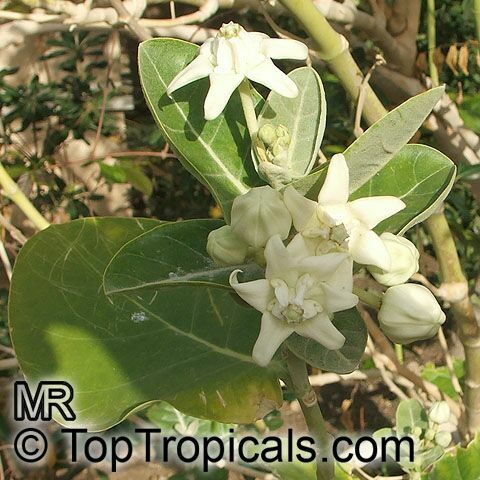 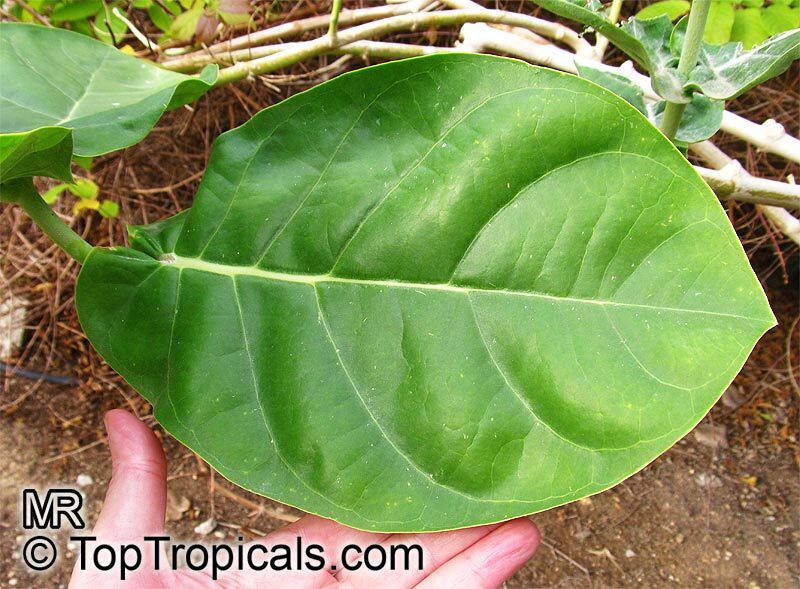 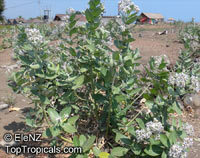 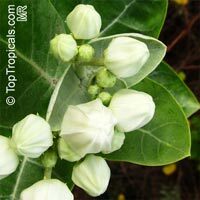 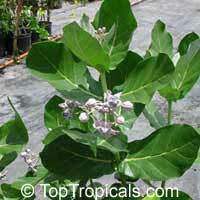 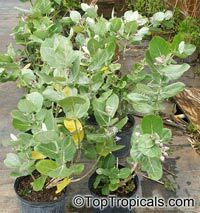 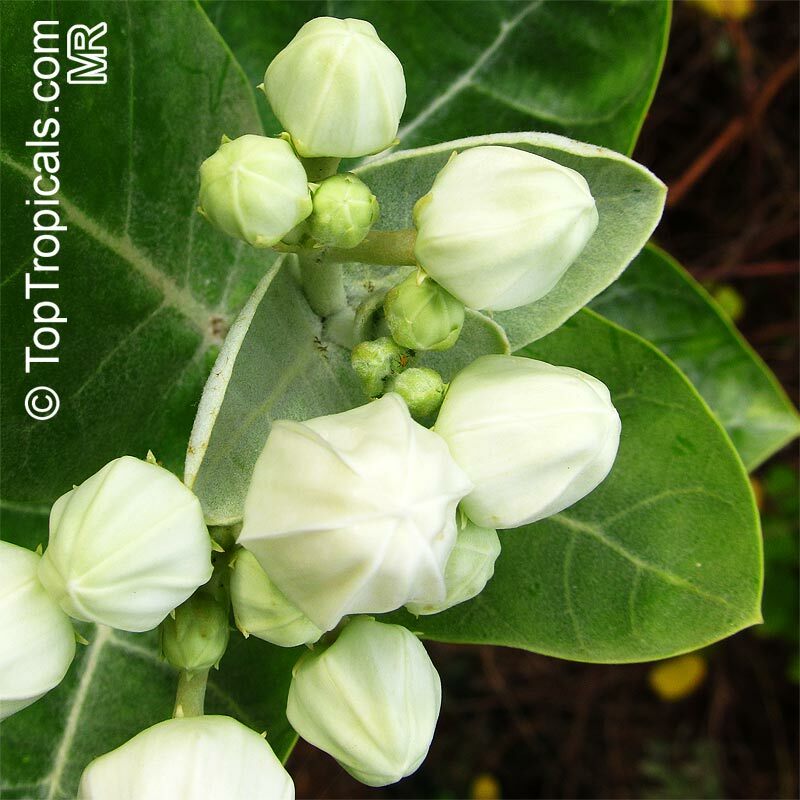 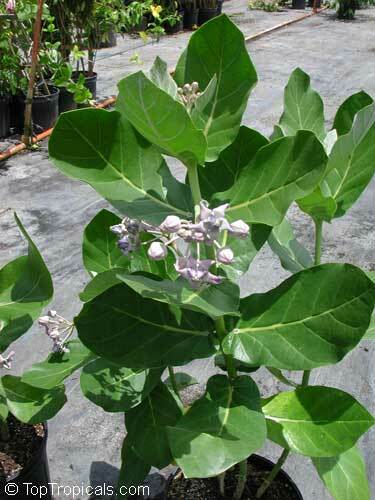 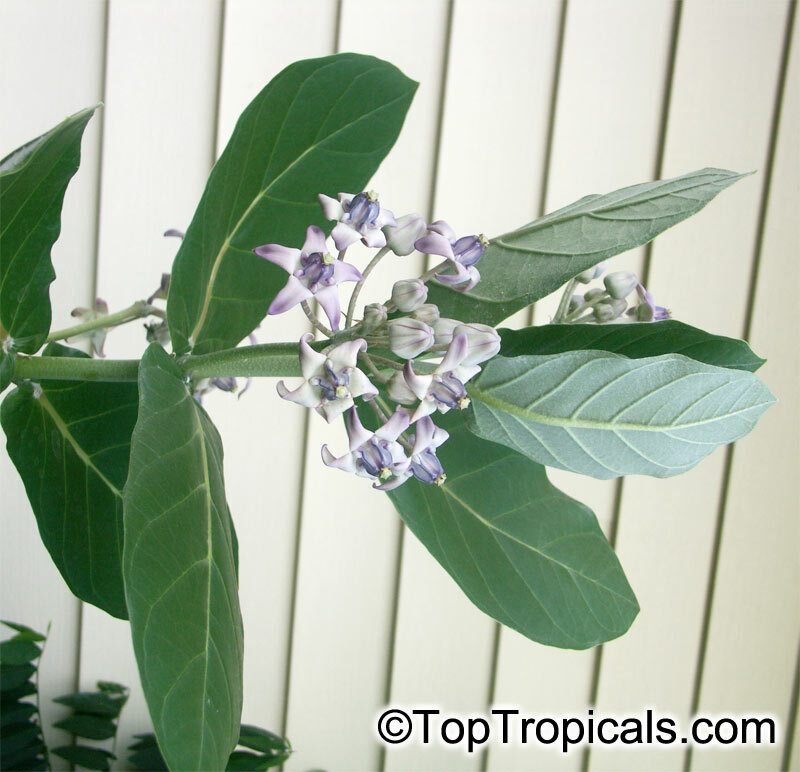 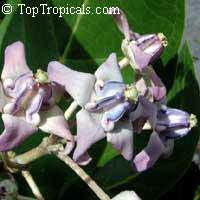 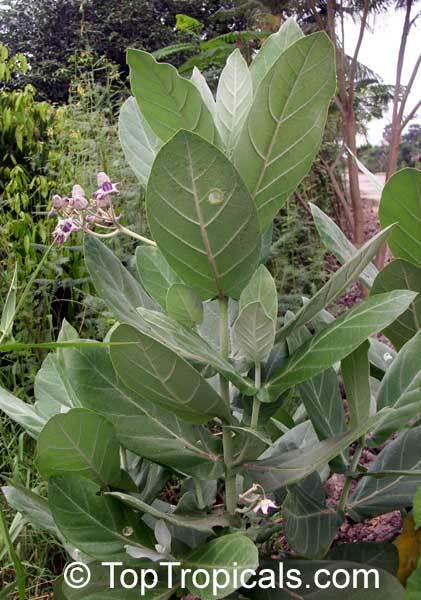 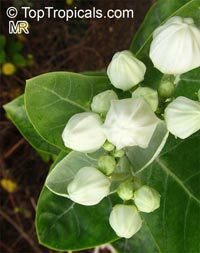 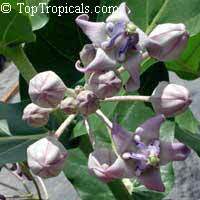 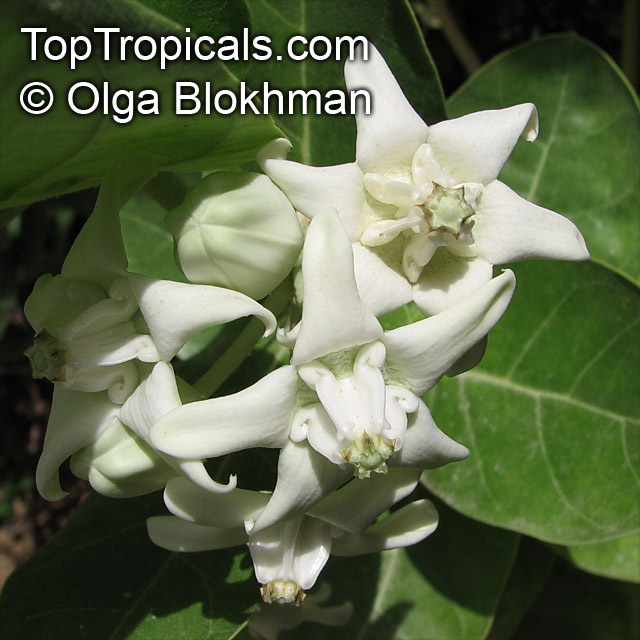 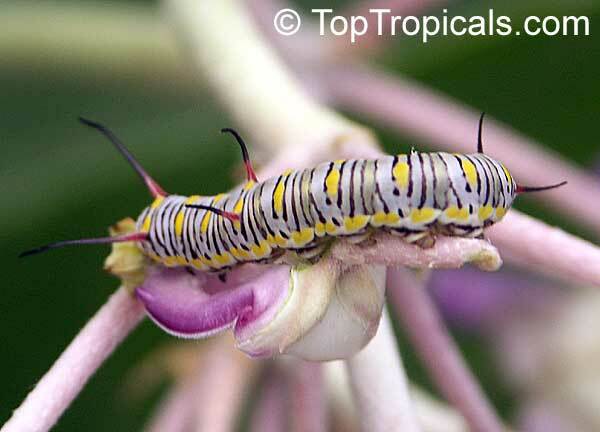 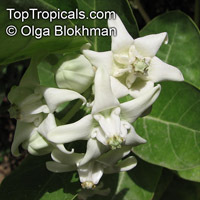 This plant is great for a butterfly garden as it is a host plant for the caterpillars of the Monarch butterfly. The shiny blue bee Xylocopa can also be seen visiting this flower. 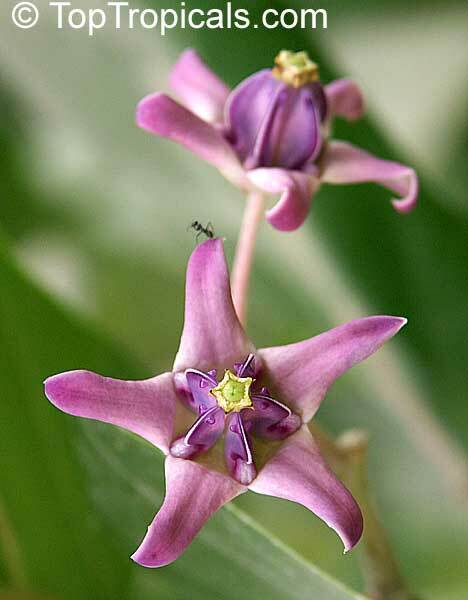 Although its blooms can be seen all through the year, its flowers are particularly abundant during summer season. 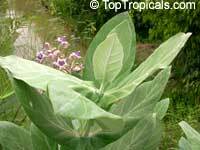 The plant also has medicinal value. 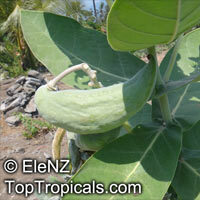 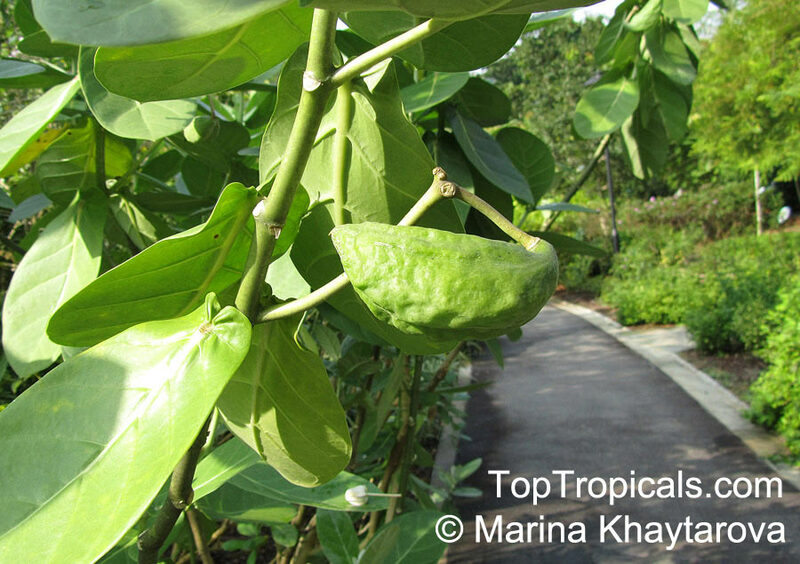 Its latex is used to remove thorns from the skin. 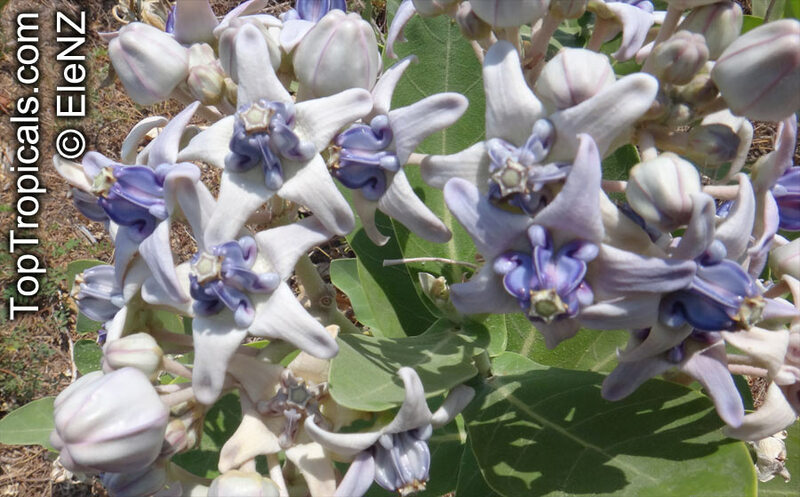 The plant is hardy at least to zone 9 and drought tolerant. 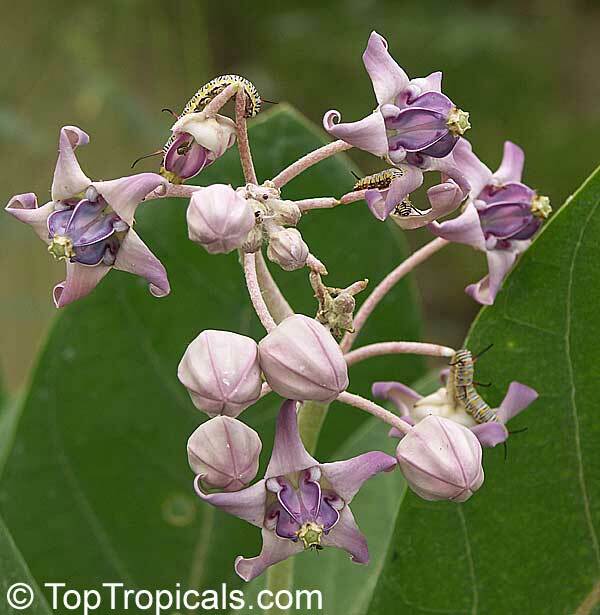 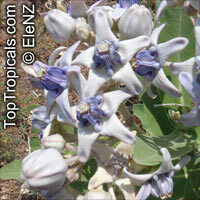 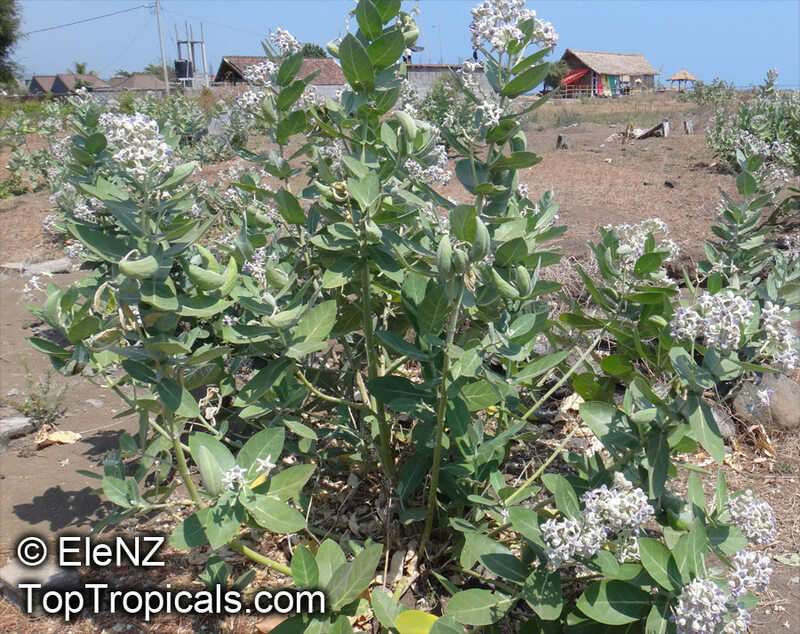 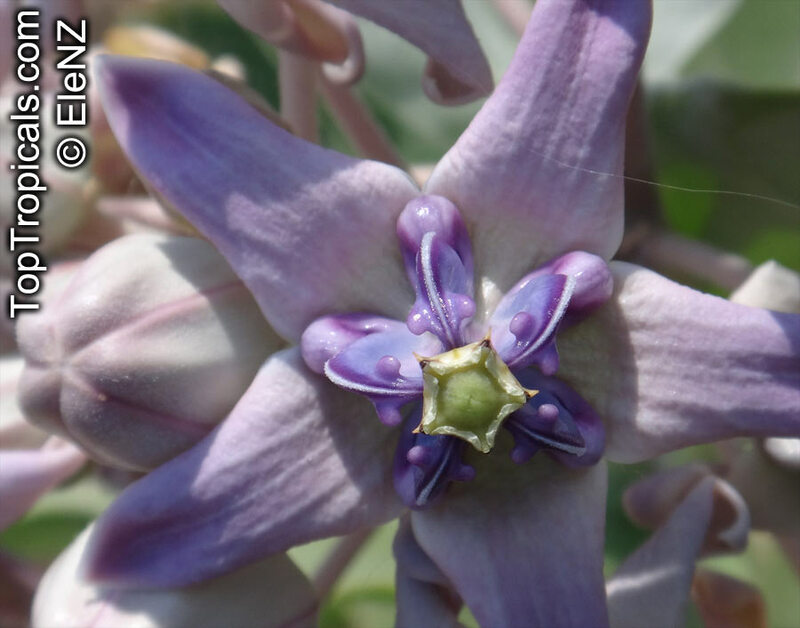 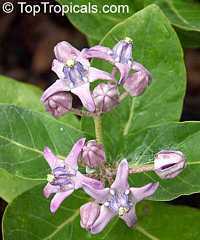 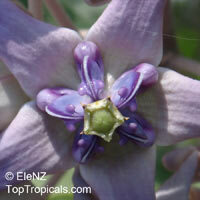 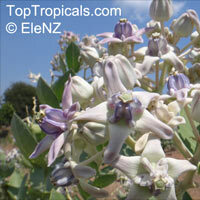 Giant milkweed, Giant Calotrope - Lilac colored flowers can be seen all through the year, great butterfly attractor. 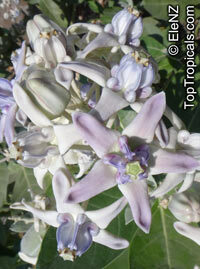 A tough and hardy plant, drought tolerant, good for hot sites.